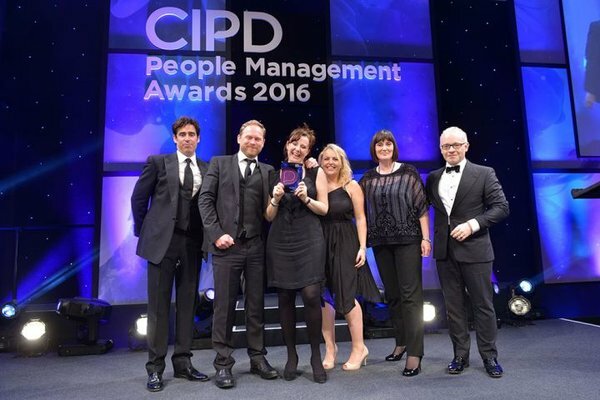 ODEON & UCI Cinemas Group are celebrating a win at the prestigious CIPD Awards for “HR Team of the Year”. The Judges cited the Group’s high profile transformation in the last two years with all 9,000 colleagues contributing to improvements in guest service which led to increased financial results and ultimately the acquisition deal announced on 12 July. "What is strongly communicated throughout is the creativity and ability to engage the entire workforce in this journey. “Overall, this was an interesting role for the HR team – needing to balance growth in EBITDA, build engagement and not alienating the workforce which could have ultimately threatened the pricing of the business at sale"
Group sales and profitability have increased (in 2015 EBITDA earnings increased 84% to set a new record) following the arrival of CEO Paul Donovan in 2014 to transform the business by rapidly implementing a new strategy to revolutionise the guest experience offered by the Group’s 240 cinemas. The extensive improvements to guest experience could only be delivered with full support from the Group’s 9,000 people – and a new HR strategy was critical to the successful delivery of the change programme that have been embraced across the Group in the last 2½ years. An entire new set of initiatives have been implemented across the Group for all ODEON & UCI colleagues, from joining to leaving. Led by Group Chief People Officer Kathryn Pritchard and titled “OUR INCREDIBLE JOURNEY”, the new HR strategy was crafted to unite teams across Europe on a very public journey, while hosting some of the biggest films in history.